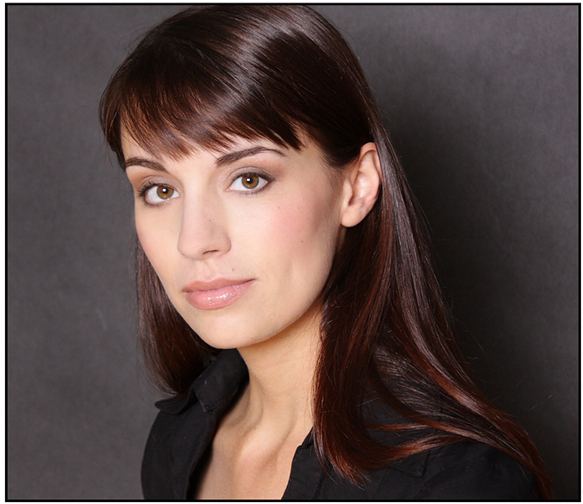 Debut author S.M. Wheeler is here today at Adventures of Cecelia Bedelia with a guest post about her novel Sea Change and its origins in fairy tale. 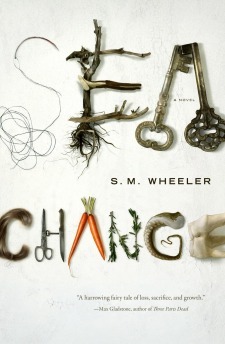 Sea Change was released in hardcover by Tor on June 18, 2013. I spent the first thirteen years of my life on a slow-motion tour of the United States, following my father’s work in the telecommunication business, with a brief side trip to Jamaica. Settling down at last in Upstate New York when my parents purchased an inn, I spent a difficult year attempting to adapt to the small local school and the company of my agemates. Ultimately, my family made the decision to educate me at home. Some of my time came to revolve around the business, which grew to include a bookstore and restaurant; some of my attention went to the school textbooks from which I learned. Mostly, I read and wrote. Fantasy, science fiction, myth, folklore—I favored the unreal in reading and told the same sort of stories as soon as I could articulate those ideas in words. This became an important tool when I developed several chronic health problems in my adolescence. Rather than using the world of fantasy to escape from these, I normalized them by creating disabled characters within the familiar landscapes of the fantastic. One o’ clock in the morning with an unruly mind and aching joints was best faced with characters whose hallucinations and missing limbs were oversized projections of my own difficulties. I credit the fact that I finished my first novel, Sea Change, in part to the inspiration of the Grimms’ Fairy Tales. I first hit upon fairytales as a young teen in a bookstore decorated with dragon statuettes and sticks of incense. This was already my natural habitat: my father introduced me to fantasy when he read my child-self Peter S. Beagle’s The Last Unicorn, and I’d inherited the D&D Monster Manuals from his college days. As I browsed through the section on monsters and cryptozoology, I came across Russian Fairytales: decorated sparsely with stylized illustrations by A. Alexeieff, translation by Norbert Guterman, cover imprinted with a gold gilt pheasant. I wanted it terribly and my parents were (are) terrible at saying no to books. Today, my library is double-stacked in a too-small bookcase and consists primarily of folklore and fairytales. I can’t say any one tale in that first Russian collection sparked this fascination, as I’d read my way through so quickly as to leave an impression of one continuous, if fragmentary, novel. The tropes and archetypes, the arbitrary magic and bizarre tasks, the brutality: these stuck with me. You can even prompt me to exercise my oral storytelling abilities by asking after some bit of folklore or fairytale. I pride myself on my rendition of “The Baboon’s Circumcision” particularly, which required three runs before I figured out who would best serve as the main character. Sea Change isn’t a punch line kind of book (there is one joke about testicles, granted). Rather, it nods to the pitiless side of the tales. I would not say that gritty means true, nor that there’s a greater interest in the old versions versus the later bowdlerized ones, or even—further back—what we dream of as the original oral tales. I went through a period of reading children’s books to see what they had done with the raw material, which I recommend to any author who works with fairytales. It’s instructive. I was upset at the alterations made to soften the stories until I reflected on the fact that I quite changed them. For example: women have agency in Sea Change. Ugliness is not cured. Biological parents are not faultless. I do credit myself with doing well by the original material all the same. Which is to say: it might be that an evil step-mother and her ugly daughter are not thrown into a barrel studded with nails and rolled into a river, but I’ve included my share of violence and sexuality. The main character, Lilly, is a somber young woman; her traits of industriousness, politeness, and self-sacrifice are all virtues of the Grimm heroine (excepting the trickster tales, like “The Three Spinners”). I’ve always liked the trope where a character gets bits lopped off—that’s here, though married with the ability to cut open a character’s guts without subsequent death (see “The Wolf and the Seven Young Kids”). Looking back on the process, on the fairytales and folklore closest to my heart, and what they did for my writing, there is one that has kept with me for all the years since I first read it. The title is translated as “A Tale About the Boy Who Went Forth to Learn What Fear Was” by Jack Zipes. Once in a while, you come across a story with which you can identify whole-hearted, and the protagonist’s inability to feel the creeps, his social naivety and quiet acceptance of a world that doesn’t make that much sense—well. There’s quite a lot of him in Lilly, too. Thank you for joining us, S.M. Wheeler! 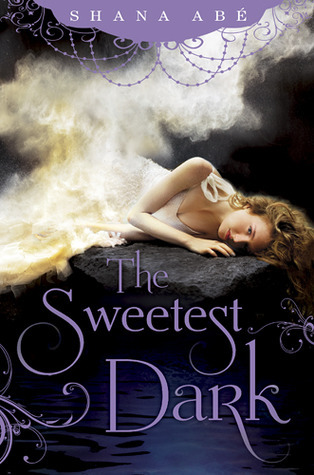 I know I've enjoyed Lilly's journey in Sea Change, and I think any fan of dark fairy tales will do so as well. My girlfriends and I are going to vacation in Ireland in September. We each have certain things that we’re excited for (scenery! castles! beer! ), and one of those bits of interest for me is the cuisine. I’ve heard lovely things about Irish seafood, and I own Darina Allen’s cookbook The Forgotten Skills of Cooking, but my Irish food experience won’t be complete until I’ve tasted a savory pie in a pub. My friend Katie gifted me with a cookbook on Irish pub food, so I’m well on my way to learning the ins and outs of this mainstay recipe. I made this pie for our Ireland trip planning meeting last week, and it was a hit across the board. I’ll be adding this recipe to my permanent entrée repertoire. Preheat the oven to 350 degrees F. Cook the potatoes in a pan of boiling water for 5 minutes. Drain and set aside. Melt 5 tablespoons of the butter in a large skillet and cook the chicken for 5 minutes, or until browned all over. Add the leek and mushrooms and cook for 3 minutes, stirring. Stir in the flour and cook for 1 minute, stirring constantly. Gradually stir in the milk and bring to a boil. Add the mustard, sage and potatoes (and carrots if you used them), season to taste with salt and pepper, and simmer for 8-10 minutes. Meanwhile, melt the remaining butter in a small pan. Line a deep dish (I used a 9”x13” pan) with half of the sheets of filo pastry. Spoon the chicken mixture into the dish and cover with 1-2 sheets of pastry. Brush with melted butter and lay another sheet on top. Cut the remaining filo pastry into strips and fold/arrange them onto the top of the pie to create a ruffled effect. Brush the strips with the remaining melted butter and cook in the preheated oven for 45 minutes, or until golden brown and crisp. Serve hot. Yields 4-6 servings. Note: I started Weight Watchers a couple of weeks ago (!) so I calculated the points – 10 per serving for this recipe. And you get a healthy amount of veggies (always a good thing). Recommended for: a hearty, homey main dish that isn’t too heavy or involved, and for a delicious taste of pub cooking at home. Usually if a book is going to hit it big, I begin noticing press and blogger excitement several months in advance. Rick Yancey’s The 5th Wave proved that wrong (or maybe I’m just paying attention to the wrong news outlets?). It was only about two months before release that I started seeing extremely positive reviews from all quarters – media, authors, and bloggers. With that in mind, I tried to stay away from reviews and wait my turn for a library copy to become available. I didn’t want to spoil what everyone was saying was a fantastic read. Here’s what I knew going in: aliens, a fight for survival, multiple viewpoints, and lots of terrifying moments. No wonder that I chose to read this book poolside, drenched in sun and heat! I try not to court nightmares, after all. The Others arrived, and humanity tried to make contact. The Others didn’t respond. Then came the first four waves – wiping out ninety-seven percent of the human population. Cassie survived, but now she’s alone, and she stays alive by staying alone and not trusting anyone else. She has bent, but so far she hasn’t broken. Or maybe she has broken - she doesn’t know. The only thing that keeps her going in the midst of this alien extermination is a promise she made to her little brother Sammy. That promise and her wariness won’t be enough. Because the 5th wave is coming. 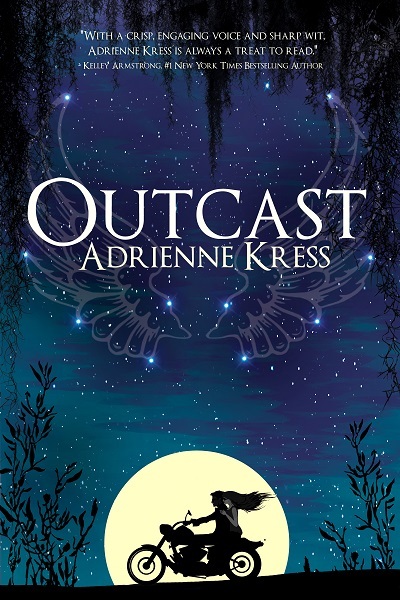 While Cassie is the clear focus of the book and at times the narrator, the author also skips into other characters’ heads and voices to tell the story. And what is that story? It’s a Hunger Games-esque, survive-at-any-cost thriller (to say any more would be too much). There are children fighting, deadly stakes, and no true sense of who/where the enemy is. It is that aura of dangerous mystery about the Others that creates an atmosphere of menace. I was not surprised by any of the twists, possibly because by the time I was thirty pages in, I had internalized Cassie’s distrust. As for the sci-fi aspects of The 5th Wave, I had a couple of doubts and questions. 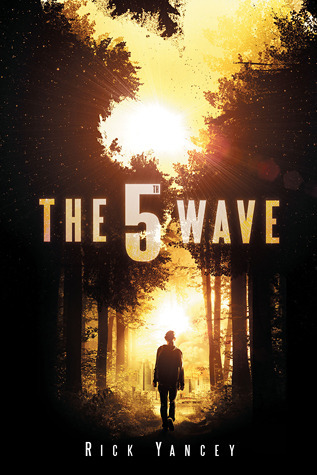 The first being: how does everyone (read: Cassie) know there will be a 5th wave? If the underlying message of the story is that hope and love are unquenchable symptoms of the human condition (and I believe that was the point), the standard awareness/anticipation that a 5th wave was on its way doesn’t make sense. I mean, every character seemed to think the same way. I identify that as rushed characterization. Another red flag was the widespread knowledge of what each wave was, and how it was caused. If a true communication breakdown was in effect as postulated in the book, I would expect a lot more rumor and supposition, especially among kids, who know less of the mechanics of society’s infrastructure (especially if they're from the first world). There’s no doubt that The 5th Wave is a riveting read. I’m just not sure it was GOOD. Let’s go over the pros: the writing was excellent, the plot moved at breakneck speed, Cassie was a well-developed character. Beyond that, I felt that there were holes in the world-building and secondary characterization that were patched over in part by action sequences and scenes meant to shock and awe. At the end of a book, I asked myself: Did the story feel authentic? And my answer in this case was yes/no. Cassie and her fear were real. It was the rest that I had qualms about. 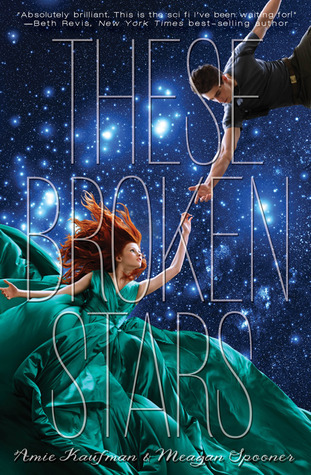 Recommended for: fans of Suzanne Collins’ The Hunger Games, Neal Schusterman’s Unwind, and anyone looking for pulse-pounding young adult sci-fi/apocalyptic fiction. Be ready for a menacing thrill. Robin McKinley is one of my all-time favorite, pre-order months before release, auto-dial authors (i don’t know what an ‘auto-dial author’ is really, but it sounded good). 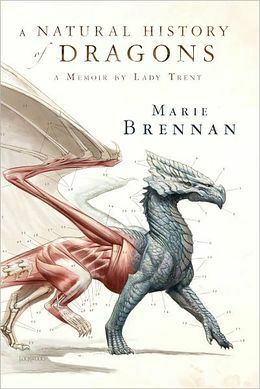 When she released Pegasus in 2010, I was ecstatic to again be immersed in a richly-detailed epic fantasy. 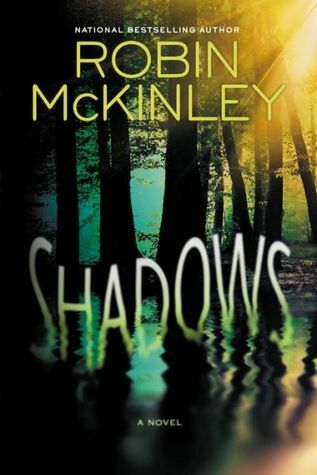 And while I’m still waiting for books 2 & 3 in that story, McKinley has written an urban fantasy. I think it looks really interesting, and knowing McKinley, the writing will be superb. Ahhhh – I can’t wait!!! Shadows will be released on September 26, 2013 by Nancy Paulsen Books (Penguin). My definition of a beach read is different than most peoples’. Summertime can be oppressively hot, and it’s difficult to hold on to deep, dark thoughts while you’re baking or taking short dips in the water. That’s why I like to save up the dark, disturbing and sad books on my reading list for the poolside or beach. I say, if you’re determined to read a book that will wring a metric ton of emotion out of you, you might as well be in the sunshine, in easy reach of a relaxing activity that should purge your dark thoughts. Keep that in mind as you check out this week’s top ten. 1. Rot & Ruin by Jonathan Maberry – This angsty, angry teenage post-apocalyptic novel features brothers and zombies. And definitely calls for sunshine. 2. Sunshine by Robin McKinley – Don’t let the title fool you – this is one dark vampire story (and the only one featuring bloodsuckers that I consistently recommend. i mean, MCKINLEY.). 3. Written in Red by Anne Bishop – A recent read, and a bit unlikely for the beach, as it’s set mid-winter in an alternate Chicago. The violence, emotion and world building-depth are very well-written. 4. Above by Leah Bobet – Combine an underground community, mental instability, and a killer on the loose, and that equals a tight plotline. Then add the final element of delightful storytelling. 5. The Name of the Star by Maureen Johnson – What better way to spend a sun-drenched day than with a story that eerily mirrors the legend of Jack the Ripper? Yeah, I couldn’t think of anything either. 6. Peter & Max by Bill Willingham – A brutal, dark take on fairy tale mythology. Perfectly acceptable beach material for guys/girls. 7. American Gods by Neil Gaiman – Take the old gods of Europe and put them in middle America, and the results are disturbing, strange and wonderful. Gaiman’s writing is, as always, a wonder. 8. Ender’s Game by Orson Scott Card – Young children compete in a battle school for the chance to graduate and fight the alien destruction of Earth. Gripping, classic YA sci-fi. 9. The Last Days of Summer by Steve Kluger – A boy and a ballplayer exchange letters over the course of WWII, and their friendship via correspondence is by turns funny and heartbreaking. 10. The 5th Wave by Rick Yancy – Alien invasion. Survival. Dread, distrust and danger. Thank goodness for cloudless days and the pool, or I might not have gotten through this one. What are your top beach reads? This week’s topic is open for interpretation. There’s the straight version: contemporary nonfiction travel monologue. And then there are the more liberal interpretations: travel into other worlds, or across space, or in the past (fictional and not). My list has a little bit of each of those, and it also has books for all ages. I’m pretty sure that’s because the thrill and strangeness of travel appeal to every generation. You know the drill: pick up one of these books and travel miles with your imagination. 1. Scott Westerfeld’s Leviathan trilogy – This series features a round-the-globe adventure in an alternate history where the Great War (WWI) has just broken out. Clever beasties, strange machinery, and plots and adventures in far-flung locales abound. 2. Inés of My Soul by Isabel Allende – Allende writes lyrical historical fiction about the first European woman to settle in Chile, and her personal odyssey from Spain to the New World. 3. The Lord of the Rings trilogy by J.R.R. Tolkien – Epic fantasy is often about a quest, and this classic series is no different. Frodo Baggins’ journey from the Shire to Mordor is pretty serious travel. 4. The Geography of Bliss: One Grump’s Search for the Happiest Places in the World by Eric Weiner – I read this travelogue/investigative tome while moving across the country, and found it an interesting take on various cultures’ attitudes about the concepts of happiness and contentment. 5. Catherynne M. Valente’s Fairyland books – September, the heroine of Valente’s gorgeous middle grade fantasies, travels to Fairyland. And then she travels around, above and below it, too. What that description doesn’t tell you is that the trip will break your heart, make you laugh, and leave you longing for just a bit more magic. 6. Cosmic by Frank Cottrell Boyce – Liam is 12 years old, but he’s so tall that he’s constantly being mistaken for an adult. But even that doesn’t explain how he’s ended up in space, and making it home again might not be the biggest challenge he faces. 7. The Adventures of Huckleberry Finn by Mark Twain – Quintessential American literature, yes. Also? An homage to Mississippi waterways, growing up, and independence. 8. The Travels of Ibn Battutah by Ibn Battutah – Ibn Battutah is one of the most famous travelers of all time – he traversed much of the known (and unknown) world in the 14th century, including Europe, Africa, Asia and the Middle East (he certainly surpassed Marco Polo). However, I’d never heard of him until I took a class on Byzantium and Islam in college. His travel accounts are extremely interesting and valuable, and surprisingly accessible. 9. The Chronicles of Narnia, but especially The Voyage of the Dawn Treader by C.S. Lewis – Narnia’s presence on this list was a forgone conclusion, really. Several of the books in Lewis’ series are based on a journey, but perhaps the most celebrated is that of the ship the Dawn Treader, on which two of the Pevensie children and their cousin Eustace are headed for The Lone Islands (and the end of the world). 10. 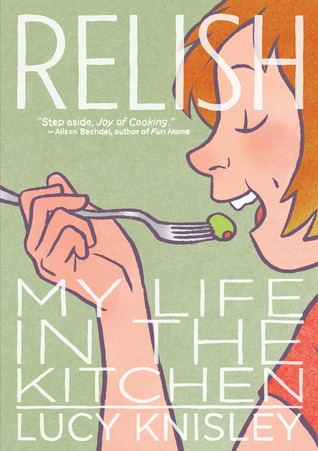 Relish by Lucy Knisley – Knisley’s graphic novel memoir revolves around food, family and travel, and the travel portions are funny, heartfelt and charming. That alone would make this a worthy addition, but then there’s also FOOD. Yum! There’s something about steampunk that hooks me time after time. It’s fantasy set in an alternate Victorian Era, so you have the feeling and trappings of historical fiction. It’s also speculative (sci-fi or fantasy or a mix of the two), with a sense of hope about what technology would/could do to make society different. In the hands of young adult authors, steampunk is also often fun and adventurous. I was certain that I’d like Gail Carriger’s first YA steampunk novel (she wrote the adult Parasol Protectorate series, which started with Soulless), and I wasn’t disappointed. Sophronia is a tomboy-ish younger sister who throws her mother into fits. She simply doesn’t care that she’s not supposed to be interested in running and jumping and listening at doors. After all, it’s natural to her, and she can’t see a good reason to start being boring like her elder sister. However, her mother doesn’t agree, and sends her off to a finishing school to reform her temperament and behavior. And that’s when things start to get very interesting. Sophronia has a personality, if you know what I mean, and she’s the life of the book. 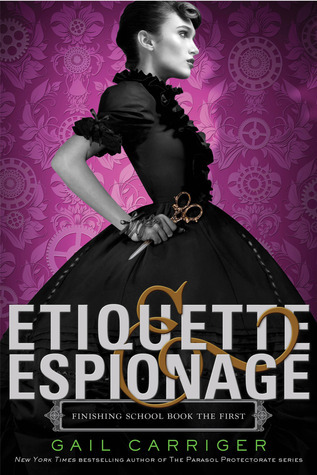 Sophronia makes Etiquette & Espionage worth reading because her inquisitiveness, cunning and dismissal of scruples lead to one scrape after another. Sophronia isn’t attending an ordinary school (although there are the requisite moments of school chum bonding and teaming up to outwit teachers), after all – she’s also learning the fine arts of espionage and murder. At first she’s bemused and mystified, and later she embraces her lessons with verve. Her energy and penchant for disregarding the social niceties (while everyone around her is obsessed with them) makes for entertaining reading and hijinks galore. While this book won’t best please those YA readers who have come to expect romance as a major element of their reading, it will satisfy those with an eye for a unique setting, a soft spot for clever characters, and anyone who has secretly wanted to become a spy at some point in their lives. The girls at Madmoiselle Geraldine’s learn about poison, machinery, making enemies and friends, and learn to curtsy at the same time. It’s a bit of a comedy of manners, but a dashing one, and seeds are planted for continuing story arcs. The formula = mystery + adventure. Recommended for: fans of YA steampunk (think Scott Westerfeld’s Leviathan or Kady Cross’ The Girl in the Steel Corset), and anyone waiting for their entrance letter to a school of magic or espionage.